Prominent & Leading Manufacturer from Chennai, we offer myhep 400mg tablets, qurled 400mg tablets, hepcinat tablets, resof, resof 400mg tablets and sofovir. It is used for the treatment of hepatitis Cvirus (HCV) infection. Compared to previous treatments, sofosbuvir-based regimens provide a higher cure rate, fewer side effects, and a two- to four-fold reduced duration of therapy. Sofosbuvir allows most patients to be treated successfully without the use of peginterferon,an injectable drug with severe side effects. that is a key component of older drug combinations for the treatment of HCV. 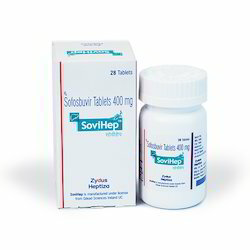 It is used for the treatment of hepatitis C virus (HCV) infection. It has been marketed since 2013. Compared to previous treatments, Sofosbuvir-based regimens provide a higher cure rate, fewer side effects, and a two- to four-fold reduced duration of therapy. Hepcinat(Sofosbuvir) allows most patients to be treated successfully without the use of peginterferon, an injectable drug with severe side effects. that is a key component of older drug combinations for the treatment of HCV. 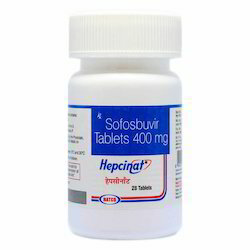 Hepcinat(Sofosbuvir) is used for the treatment of chronic hepatitis C, genotypes 1, 2, 3, and 4, in combination with pegylated interferon and ribavirin, or with ribavirin alone. It is also used in combination with the viral NS5a inhibitor ledipasvir in an interferon-free combination for the treatment of genotype 1 hepatitis C infection. 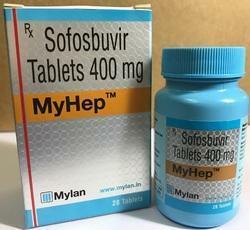 Hepcinat(Sofosbuvir) is also used in HCV patients with an HIV coinfection. 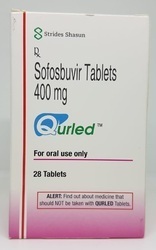 The treatment is based on a number of clinical trials, for example the ELECTRON trial which showed that a dual interferon-free regimen of Sofosbuvir plus ribavirin produced a 24-week post-treatment sustained virological response (SVR24) rate of 100% for previously untreated patients with HCV genotypes 2 or 3. The recommended daily dose of Hepcinat(Sofosbuvir) is 400mg tablet to be taken once daily with or without food. Hepcinat(Sofosbuvir) should be used in combination with Ribavirin or in combination with Pegylated Interferon and Ribavirin for the treatment of CHC (Chronic Hepatitis C) in adults.It is highly advisable to administer the drug under strict medical supervision and advice. It is used for the treatment of hepatitis Cvirus (HCV) infection. It has been marketed since 2013. Compared to previous treatments, sofosbuvir-based regimens provide a higher cure rate, fewer side effects, and a two- to four-fold reduced duration of therapy. 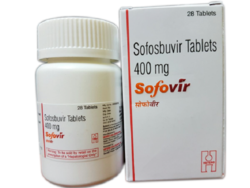 Sofosbuvir allows most patients to be treated successfully without the use of peginterferon,an injectable drug with severe side effects. that is a key component of older drug combinations for the treatment of HCV. The recommended daily dose of is 400mg tablet to be taken once daily with or without food. 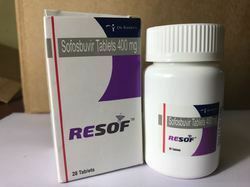 Sofovir (Sofosbuvir) should be used in combination with Ribavirin or in combination with Pegylated Interferon and Ribavirin for the treatment of CHC (Chronic Hepatitis C) in adults.It is highly advisable to administer the drug under strict medical supervision and advice. Looking for Sofosbuvir Tablets ?